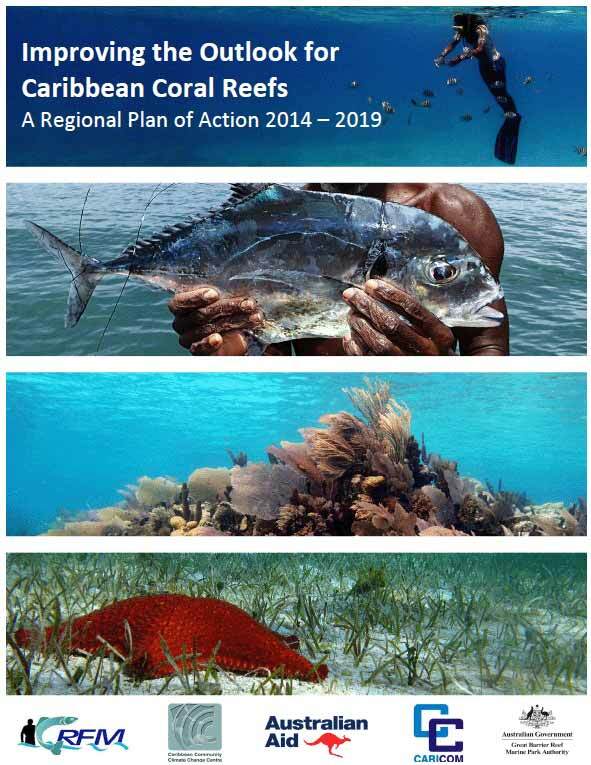 Fisheries ministers from member states of the Caribbean Regional Fisheries Mechanism (CRFM) will meet at Fort Young Hotel, in Roseau, Dominica, on Friday, May 23, 2014, for the Eight Meeting of the CRFM Ministerial Council. The meeting is also expected to approve a Regional Coral Reef Plan of Action aimed at strengthening coordinated action to protect, conserve and manage these important ecosystems and secure their contribution to the regional development. Healthy coral reef ecosystems and their fisheries are central to the health of the Caribbean Sea and the well being of coastal communities and Caribbean societies. The preparation of the Regional Plan of Action was coordinated by the Climate Change Centre with funding and technical assistance provided by the Government of Australia and Australian Great Barrier Reef Marine Park Authority. Coral Reef Action PlanThe ministers will also be updated on the progress of technical activities being undertaken by the CRFM (the Secretariat, member states and network partners) and provide guidance on the way forward in coordinating the CRFM’s work in the region. They will discuss progress on initiatives to combat illegal, unreported and unregulated (IUU) fishing in the region and provide further direction to the countries and regional institutions to intensify efforts in this critical area.